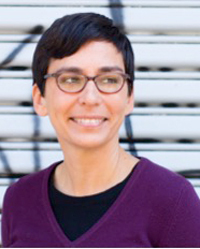 Tara Mulay has been a practitioner of insight meditation since 2003 and has undertaken intensive retreat practice periods in the United States and Myanmar. She is a current participant in the 2017-2021 IMS teacher training program and a graduate of Spirit Rock Meditation Center's Community Dharma Leader's Program. She is a co-founder of the San Francisco People of Color Insight Meditation Group and has been a leader of Mission Dharma since 2010. She combines a deep love of classical Theravada teachings and practice with a focus on bringing the practice alive in modern daily life.